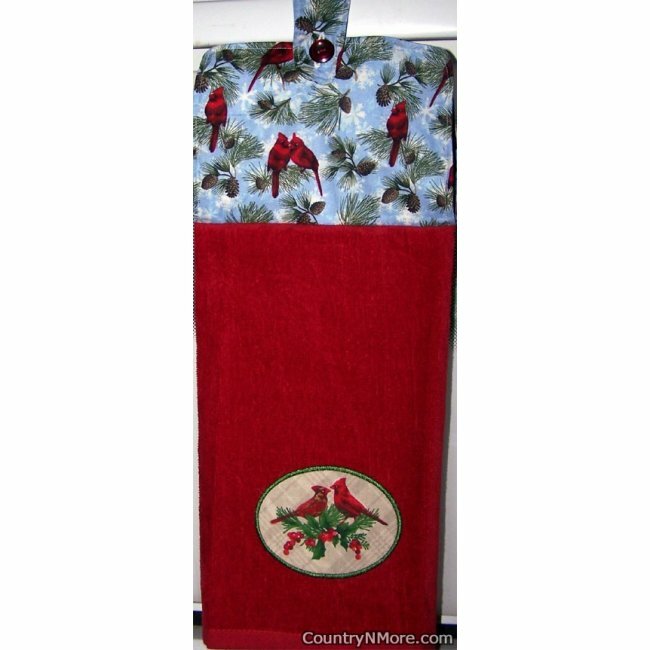 Perfect for sprucing up your kitchen or even your bathroom for the holidays, this hanging towel will sure to bring smiles. The towel has two cardinals on a red towel, sitting on a pine branch with holly and berries. The top part was made using a cardinal winter scene fabric. The combination of both the top print and the towel are just perfect. We use full towels for all of our oven door towels and every oven door towel has a button closure. There were only two of these oven door towels made.